I have just published a guest post about long-term anti-apartheid protests outside South African embassies around the world over at the Protest Camps blog. 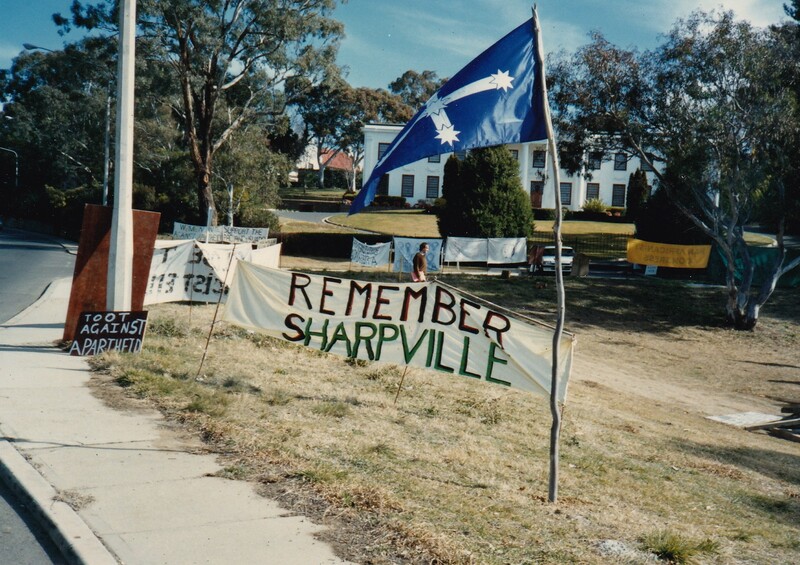 This thinks about the Non-Stop Picket in the context of the year-long daily protests at the South African Consulate in Washington, DC (1984 – 1985) and the South African Liberation Centre in Canberra. It also remembers that the struggle against apartheid also created another, very different, form of camp – the military bases of Umkhonto weSiswe and the Azanian People’s Liberation Army in the frontline states of Southern Africa. This entry was posted in Dissemination, Gavin Brown, Popular & Informal Education, Project staff and tagged Anti-Apartheid Movement, Non-Stop Picket, Protest Camps, South African embassies, South African Liberation Centre. Bookmark the permalink.